It is 7 o’clock in the evening, and you’re sitting in front of your computer trying to work. No matter how you sit, no matter how you position your hands, there is pain. It starts in the joints of your fingers, and affects your wrists, elbows, and eventually your shoulders. You move around and you pop your fingers, only to get a few moments of pain relief. You watch in utter disbelief and frustration as your hands appear to have a mind of their own. Typo after typo appears on the screen.Joint pain has already caused you to miss multiple days of work. If you are unable to finish the assignment you are currently working on, you wonder if you will have a job to go to in a few weeks. Your joint pain scares you, it makes you angry, and it makes you frustrated with yourself. It’s your body. Why can’t you push it harder? Why won’t it follow your will? If you are dealing with chronic joint pain, it is likely this scenario is all too familiar. What causes joint pain, and what are the long-term effects that joint pain can have on your life? It is estimated that one in four Americans will experience joint pain over the next 30 days. Joint pain can affect any joint in the body. The most common complaint about joint pain is the knee, followed by the shoulder, and then the hip. As you age and you put more wear and tear on your joints, joint pain becomes more common. Joint pain can be a small irritation, or it could be something that is debilitating. Joint pain might last for a couple of days, or it can be chronic, lasting for months or even years. Even short-term joint pain can have a dramatic effect on your life. It can cause you to miss out on special events, miss days of school, miss days of work, and force you to live a sedentary life. You have joints all over your body. You may not realize this, but you have joints in your skull. However, you never hear about a person having joint inflammation in their skull. This is because the joints in your skull come together at fixed points, so they don’t move. The same is true with the bones in the upper part of your back, also known as the thoracic spine. Although they can move, these joints are more designed to support or to provide strength to the rest of your skeleton. So they are less often the source of pain. Conversely, the joints that you have in your shoulders, your hips, your knees, your lower back, and your neck are very flexible, and they move a lot. As a result, these joints are more likely to cause you pain. Painful joint conditions like osteoarthritis are seen more often in your hips and in your knees. This is because this is the part of your body that is responsible for bearing the majority of your weight. At the same time, these joints are very flexible, and so this combination of flexibility and weight-bearing makes them more susceptible to pain. Rheumatoid arthritis is one of the primary reasons why people have joint pain. It is usually because they are dealing chronic rheumatoid arthritis. Rheumatoid arthritis is a disease that affects the synovial lining in your joints. This lining is responsible for lubricating your joints. Rheumatoid arthritis happens because your immune system is misfiring and telling your body to attack its own tissues. Rheumatoid arthritis creates pain, stiffness, and swelling in your joints. While rheumatoid arthritis can affect different parts of the body, it is most commonly seen in the hands and in the feet. 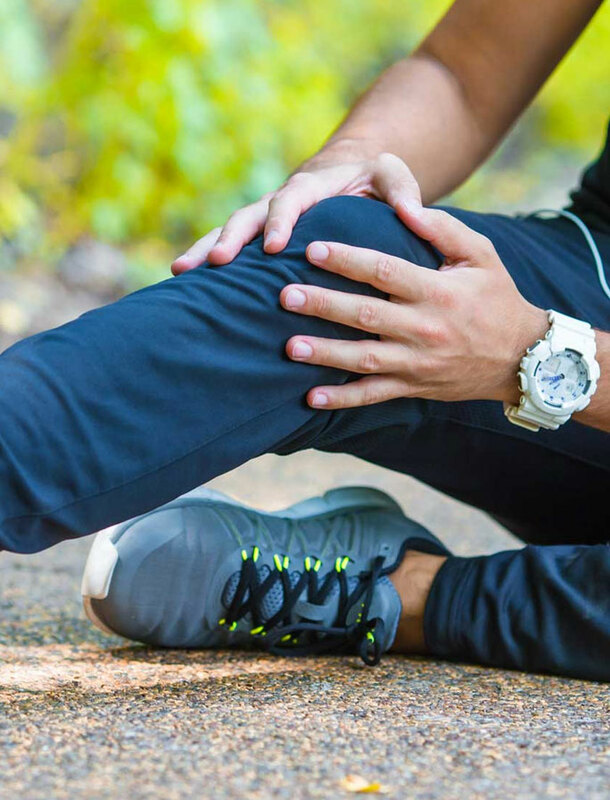 If you are dealing with joint pain, you know firsthand how agonizing it can be. One of the worst things about joint pain is the way that it affects your mentality. Joint pain can literally make you afraid to move. You worry that if you step wrong, grab something with your hands wrong, or get up in a wrong way, you’re going to experience excruciating and debilitating pain. Joint pain can alter your life so much that it makes you feel like you are not the same person you were before developing the pain. We have years of experience dealing with people who are suffering from different forms of joint pain. We understand the frustration, the depression, and irritation that joint pain causes, and we want to help. The very first thing that we are going to do is sit down and talk to you about your pain. We want to carefully listen to everything you have to say because we understand that your pain is uniquely different from the pain that others may experience. We know that there is no one-size-fits-all joint pain relief program. After we have collected some information about your pain, we are going to work with you to create an individualized treatment plan to help you manage your pain as well as to help reduce your pain. Our goal is to provide you with a short-term pain relief treatment that will allow you to get back to your activities quickly. However, we are also interested in creating a long-term pain management treatment that will provide you with relief and the ability to cope with your pain for years to come. Joint pain has already robbed you of enough of your life. It’s time to make the joint pain stop and get back to living the life you deserve.